Emory Law students teach at-risk youth about their rights during encounters with law enforcement. The Barton Center promotes and protects the legal rights and interests of children involved with the juvenile court, child welfare, and juvenile justice systems; inspires excellence among professionals; and prepares emerging practitioners for successful and rewarding child advocacy careers. The center accomplishes its goals through the provision of holistic legal representation to youth, public policy and legislative advocacy, community outreach, and professional education. The Barton Child Law and Policy Center’s clinical offerings include the Barton Public Policy and Legislative Advocacy Clinic, Barton Juvenile Defender Clinic, and the Barton Appeal for Youth Clinic. The Barton Center also sponsors the Emory Summer Child Advocacy Program, the Know Your Rights Project, the Child Welfare Legal Academy, post-graduate fellowships, community outreach, and professional education opportunities. The Barton Center serves as a resource to the Georgia and national child advocacy communities through its website and listserv that highlight current issues and provide access to research and advocacy tools. 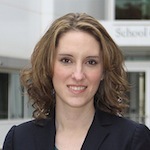 Melissa Carter joined the Emory Law faculty in December 2010. As executive director, Carter is responsible for all aspects of the administration of the Barton Center, including the development of the the center’s policy and advocacy agenda; fundraising, budgeting, and strategic planning; and supervision of clinic faculty, staff, and students. 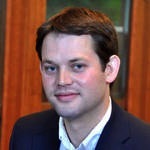 Carter directs the Public Policy and Legislative Advocacy Clinic and teaches a Child Welfare Law and Policy course. Randee Waldman supervises law students in their representation of young people charged with delinquent and status offenses, engages in policy work related to juvenile justice issues, and teaches Kids in Conflict, a course in juvenile justice. The success of that project provided a strong foundation for its further evolution into the newest clinical offering of the Barton Center. As director of the Appeal for Youth Clinic, Reba supervises law students in their appellate representation of youthful offenders in Georgia’s juvenile and criminal justice systems. 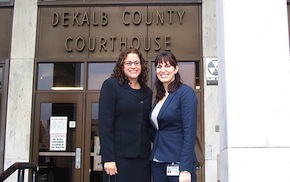 Before coming to Emory, Reba served as a staff attorney for the Supreme Court of Georgia Committee on Justice for Children, a federally funded project aimed at improving the process for civil child abuse and neglect cases. At Justice for Children, he managed the implementation of a juvenile court process system and was part of a case review effort to learn best practices for areas targeted in Georgia’s Child and Family Services Review. Kaitlyn Barnes joined the Barton Child Law and Policy Center in August 2017 as a postgraduate policy fellow. Prior to attending law school, Kaitlyn engaged in racial reconciliation work in Mississippi, mentoring high school students and training them in civic engagement, civil rights history, and diversity skills. As a law student, Kaitlyn worked with a variety of civil rights organizations across the South including the Southern Center for Human Rights and the Southern Poverty Law Center, doing work in criminal justice reform and education advocacy. She also spent three semesters as a student intern in the Barton Public Policy and Legislative Advocacy Clinics. Kaitlyn received her B.A. in Classics from the University of Mississippi and her J.D. from Emory University School of Law. Developing and presenting training modules for child advocates. Educating judges and lawyers about juvenile justice issues. The Barton Clinic was established in March 2000 to address the need in Georgia for an organization dedicated to effecting systemic policy and process changes for the benefit of the children in Georgia's child welfare system. The origins of the Barton Clinic are in Emory Law's Child Advocacy Project, which began in 1992 and provided summer internships in the field. 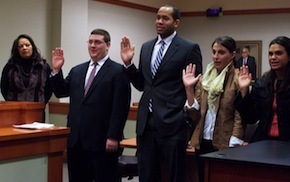 The establishment of the year-round legal clinic with a full-time faculty was made possible by a grant from the Barton Fund. The goal was to help Georgia serve neglected and abused children by providing multidisciplinary, child-focused research, training, and support for practitioners and policymakers charged with protecting Georgia's children. In 2006, Barton Juvenile Defender Clinic was added to the Law and Policy Clinics to provide representation to youth in the delinquency system. In 2010, the Barton Clinic was renamed the Barton Child Law and Policy Center in recognition of the growing work being performed and in recognition of the varied clinics and projects that had developed out of the work of the original Barton Clinic. Today, the Barton Center includes three clinics along with critical child protection work and advocacy for youth across a number of additional programs. As part of a major research university, Barton is perfectly situated to collaborate with Emory's Rollins School of Public Health, Nell Hodgson Woodruff School of Nursing, School of Medicine, and the Center for Violence Studies, as well as other Georgia colleges and universities. While many people contributed to the center’s success, our special thanks go to founding director Karen Worthington, who led the center from 2000 until 2010, when she moved to Hawaii, and founding donors Michelle and Andy Barclay, who remain in Atlanta and continue to work for Georgia’s children. Barton Center is grateful for continued support from Emory Law, the support of individual donors, grants from foundations, and various other sources of external funding. To teach students to excel in a collaborative, interdisciplinary environment. The Barton Center is located on the Emory University campus in the North Decatur Building at 1784 North Decatur Road, adjacent to Emory Law.